Words cannot express how honored and excited I am to serve as your Worshipful Master for the 2018 - 2019 season. As always there is much work to be done as we chip and chisel our way to perfection. With the fine group of brothers we have in our lodge, with certainty I can say perfection will be accomplished. Our mission this year will be to improve our observance of the craft and strengthen our fraternal bonds throughout the district. Our degrees and ritual work are the very definition of the craft. 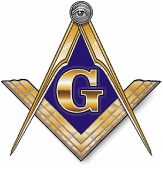 It is that which separates Freemasonry from all other organizations and fraternities. It is likewise that our observance of the craft separates us as men, giving us divine purpose and an obligation to share the light with all good men who seek it. It is therefore paramount to the lodge and the fraternity as a whole that we are proficient in this obligation. We must be proficient in our ritual. Many things are occurring in and around our district, from edicts that change how we function as an organization and fraternity to lodge merges, pancake breakfasts and other lodge programs. We all know a lodge that does not meet regularly in fellowship cannot function. We should also know the same is true for our district. 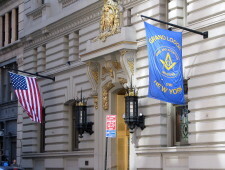 With that being said I will be planning a few of our meetings at other lodges and will expect great turnout and participation from the Brothers of St. Marks. I assure you that we will pleasure and profit there by. Brothers, let friendship, morality and brotherly love guide your paths. Remember the day you were raised by that mighty grip. My brothers always remember you are a Free Mason and members of one of the greatest lodges in existence, St. Mark's Vestal Lodge #435.